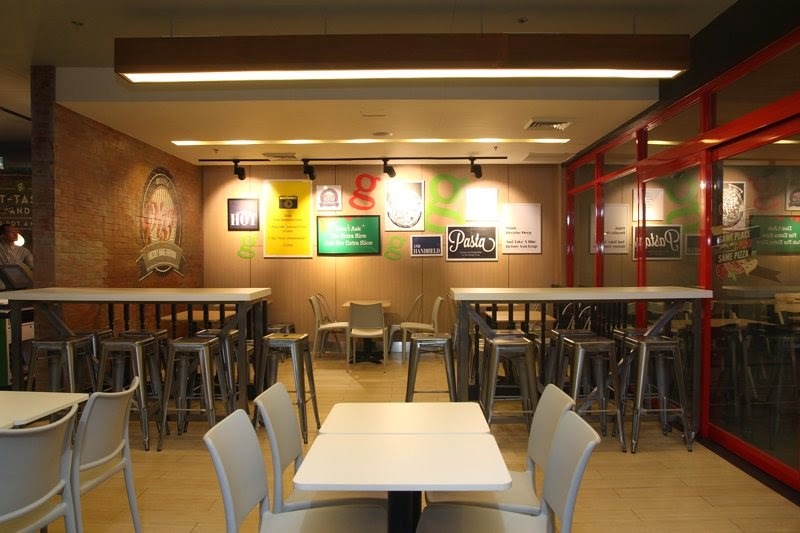 The Food Alphabet and More: Greenwich Pizzeria - A totally new Greenwich coming at you! Greenwich Pizzeria - A totally new Greenwich coming at you! Behold, a brand new Pizza dining experience, with all the right ingredients. 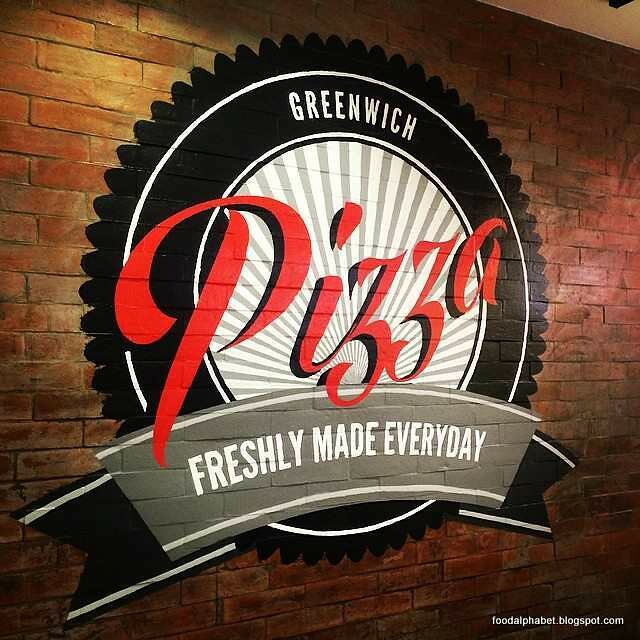 Welcome to Greenwich Pizzeria, the newest Greenwich pizza store concept giving you a fresh, modern and mid-century feel, pair it up with familiar flavors that Greenwich is famous for. Nice new place, same great tasting pizzas, that's Greenwich Pizzeria. 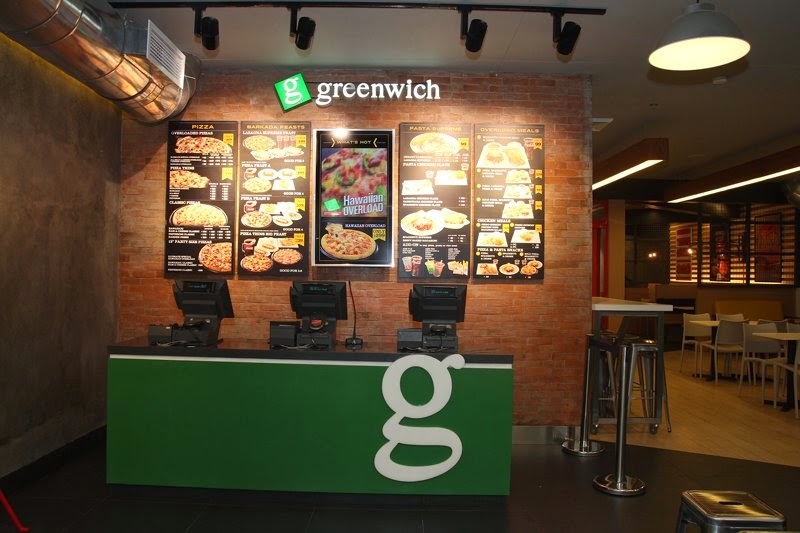 This year, Greenwich opens its doors to welcome you and your barkada to their newest look. With an interior so familiar and so homey with the use of wood and brick elements, one would but feel being in an authentic pizzeria. This new store concept features a lounge, main dining area, balcony, banquet and an enclosed dining space fit for everyone's needs. Seating options have got you enjoying these couches, booths, tables and longer spaces complete with bar stools, perfect for an authentic pizzera. 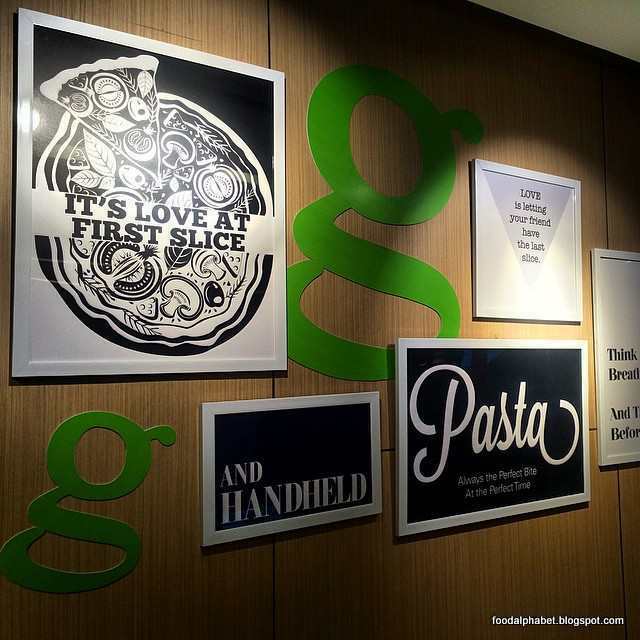 Greenwich Pizzeria in SM North EDSA houses the first ever redesigned store, and will roll out on full blast starting this summer to all other stores in the Philippines. Expect more and more Greenwich Pizzerias to open in the next few months! 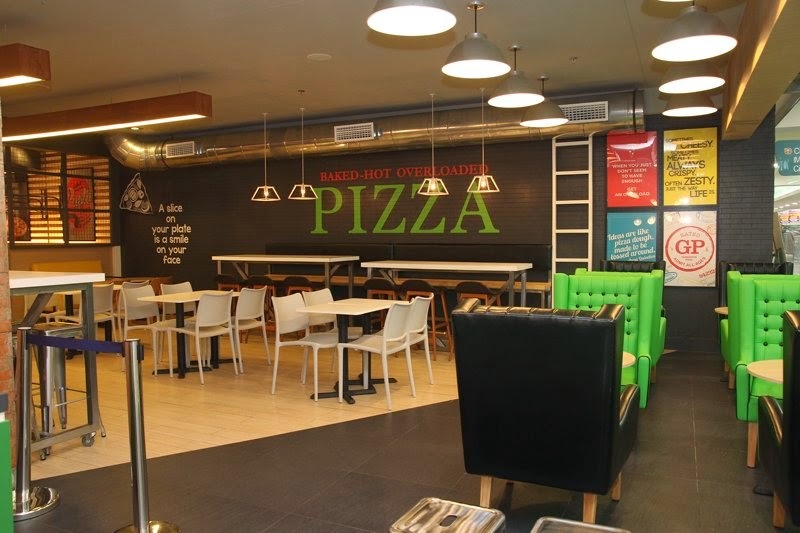 Bring in the Barkada, see the sights, enjoy the pizza goodness of Greenwich Pizzeria, enjoy pizzas and more, savor the goodness that is truly world class.